OK, now that most everyone has added cryptocurrency to their vocabulary its time to broaden that word out and introduce some “crypto spin-offs”. So, the very first “new” word to learn is “cryptoassets” (by the way, that’s a good spelling but your spell check won’t like it….it’s too new). 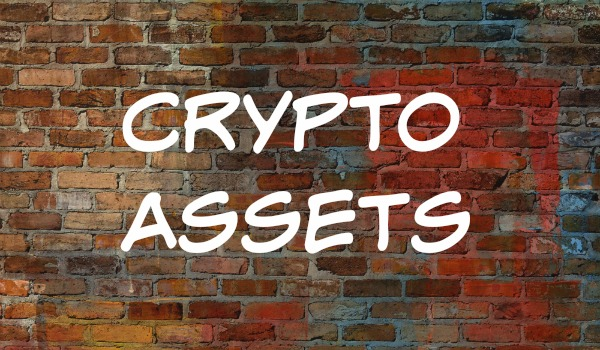 The “cryptoasset” market is not just bitcoin and assorted other cryptocurrencies, but rather subsets, each defining a particular segment of the decentralized digital sector. Oh, and just so you know, that whole sector has a market cap of over $300 billion. That’s big. So what are these ‘new cryptoasset’ silos and what do they encompass? Lets take a look. Obviously, first is the ‘basic’ cryptocurrencies sector. Yeah, yawn, we all know this one, right? This sector is lead by BITCOIN, the undisputed leader of cryptocurrencies which has a market cap of over $100 billion all by itself. Even previous critics and doubters have pivoted, and now at least accept bitcoin as being real. Think JP Morgan and Goldman Sachs. Other cryptocurrencies include Ethereum, Bitcoin Cash, Litecoin, etc. How about UTILITY TOKENS? These “crypto tokens” have a utility use, in that the buyer of these tokens can receive some type of monetary benefit by owning them. Think discounts on purchases or services. Amazon is looking at having their own token and all the airlines are exploring “tokenizing” their loyalty programs. Then there are PLATFORM TOKENS. These are almost all Etheruem-based and are used primarily to speed up processing and settlement, thus eliminating a third party intermediary. Lower costs, faster speed and happier users. Most ICOs (initial coin offerings) use ETH based platforms. The next step, to satisfy regulatory agencies, will be SECURITY TOKENS. These cryptos basically are very similar to equities, bonds and other securities which are regulated BUT can trade without financial intermediaries. Again, faster, cheaper and settlements are instantaneous rather than days. Almost all exchanges are moving into allowing security tokens to trade on their platforms. Ah, one very dear to my heart, since we are involved with this one. NATURAL ASSET TOKENS which means gold, silver, oil, cattle, soybeans and on and on and on. By tokenizing tangible assets the whole commodity sector is becoming far more transparent, track-able and trade-able. Coupling these with a security token (we are) is opening new compliance satisfactions. Well, here’s a word; “CRYPTOCOLLECTIBLES”. Cool description. Think tokenized collectables like wine, antique cars, baseball cards, soccer memorabilia, etc etc. Even Hello Kitties (remember them?) By tokenizing these digital assets, they can be tracked and confirmed as legitimate instantaneously. And last, but very controversial, CRYPTO-FIAT CURRENCIES. In essence bitcoin and others could (in theory) replace all fiat currencies. Of course all global central bankers are fighting that idea. But, several governments are already digitizing their currencies (Sweden for one) and more are considering doing so. Obviously a crypto-fiat strikes terror into governments and regulators since it could lead to loss of monetary control. Long fight on this token. So, the new cool “buzzword” is “CRYPTOASSETS”. All of the silos above are already changing the way money is transacted, settled, tracked and thought of. Assets are becoming more readily available to the mainstream (not just the wealthy) via tokenization. Even the way capital is raised has changed. Sorry Warren Buffet………..the new world is outside Omaha.